Sandra McIver – knit, swirl (I have already started one from this BEAUTIFUL book!! Nicky Epstein -Block by Block (we had this before and had to reorder! (Jane is going to teach the jacket pattern in the fall ). 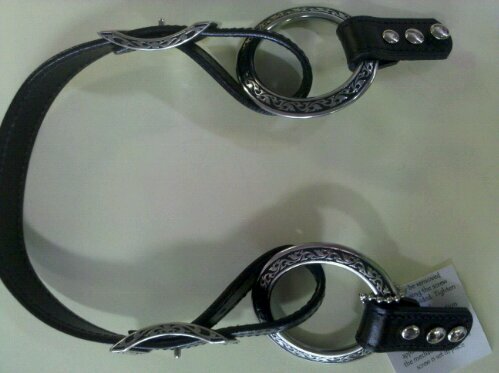 New stock of handles for the Noni Bedouin Bag! Check out the picture of the black one. 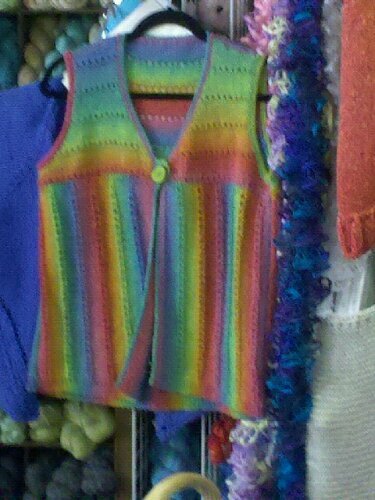 Look at Susannie’s version of the Boku vest. 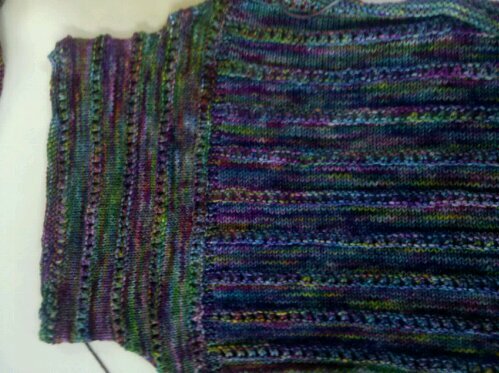 She is using Malabrigo Rios in Arco Iris!! 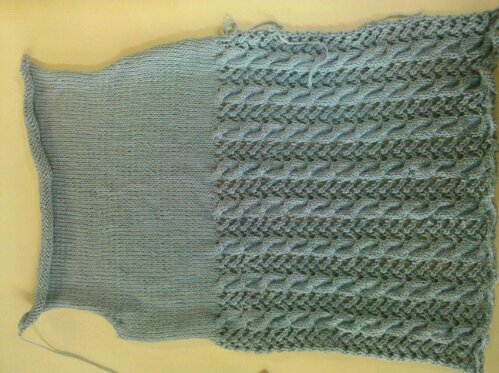 Carolyn is way on her way to finishing her sweater (light blue) for the Classic Elite Knit Along! It is not too late to join us and get in the drawing for a $100.00 basket from C.E. yarns! 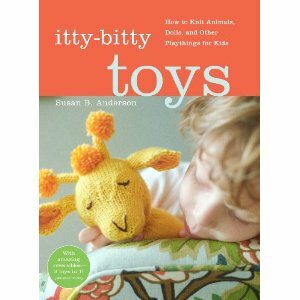 We will be knitting every Tues. night from 5-7 until July 31. We filled the 1st bus to Stitches, so we are taking names and checks for a second bus!! YEH!! For those who are asking GLEE WAS A BLAST!! There were 8 of us in the group and the place was rocking!! Only complaint – Less street dancing and more GLEE MUSIC!! Mary B and I were totally impressed with live singing abilities!! Mercedes you rock! !